At Novus, we fully recognizes the growing importance of academic research towards commercial exploitation and industrial application and is now closely working with Centre for Robotics Research, Department of Informatics, at King’s College London and International Centre for Advanced Mechanisms and Robotics (CAMAR) Tianjin University, China. As such the spun-out cost estimation and modelling framework ensured a steady and solid growth for the organisation in a highly competitive environment during the most recent financial years with 150%, 60% and 80% growth in 2015, 2016 and 2017 respectively. 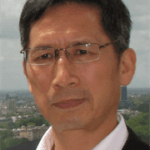 Professor Jian S. Dai, CEng, IEEE Fellow, ASME Fellow, FIMechE, is Chair of Mechanisms and Robotics at King’s College London and is a leading expert in manufacturing efficiency, manufacturing cost, and automation, and a pioneer in reconfigurable and metamorphic mechanisms and robots. Professor Dai is the recipient of 2015 ASME Mechanisms and Robotics Award that is an honor to engineers and scientists who have made a lifelong contribution to the fundamental theory, design and applications of mechanisms and robotic systems. He is the 27th recipient since the award was established in 1974. Professor Dai also received many other awards including 2010 Overall Supervisory Excellence Award by King’s College London, 2012 ASME Outstanding Service Award and 2012 Mechanisms Innovation Award, together with several conference and journal Best Paper awards. Professor Dai has published three books and over 500 peer-reviewed journal and conference papers, with a large number of citations, and has awarded a large number of Research Council grants including EPSRC, EU, NSFC, and industrial grants. Professor Dai has educated over 25 PhD students with 10 former PhD students working in faculties in ten leading universities in the UK, Mexico, Australia, Italy, UAE and China and 10 more PhD students setting up 8 high-tech spin-out and start-up companies in London, Italy, Mexico, Singapore and China.